Will visits Ken once a week. 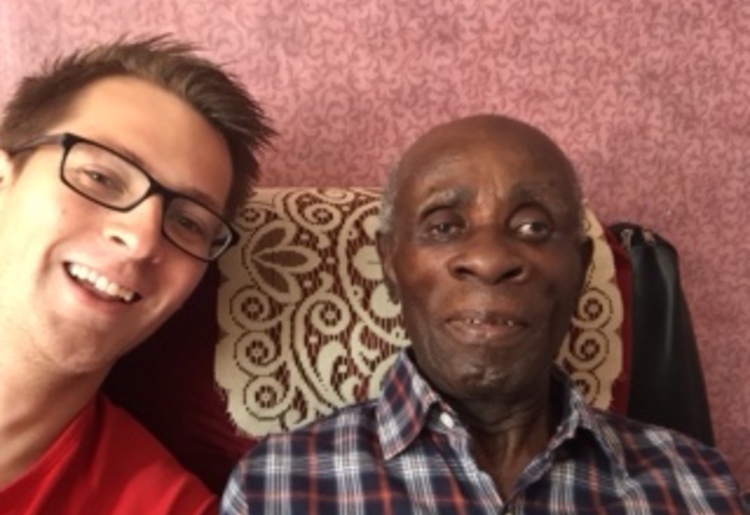 Ken, age 74, was referred by City & Hackney Carers in September 2014. Ken moved to London in 1962 from Jamaica. Ken's career was in mechanics and he worked for a motor company for 24 years. He has lived in Hackney for 27 years. Ken has family close by that he sees regularly though he lacks other social connections. I got involved with GoodGym as I liked the idea of volunteering in my local area while keeping fit: what a great thing to do! I have most enjoyed forming friendships with both of my coaches through GoodGym. I have enjoyed being part of their 'routine' and offering someone for them to talk to on a regular basis. The most challenging aspect has been getting there on a Saturday morning - we all know Fridays can be occasionally a busy evening! Anyone thinking of giving it a go should speak to GoodGym and give it a go. GoodGym will ease and allay and fears; there really are people out there who would give anything for a regular chat. What have you got to lose, really? Will is a very nice young man. He always gives me a call mid week to see how I'm keeping. We have a laugh, he always has something useful to suggest. We talk about cricket, football and other things. Good old Will. My daughter says to me 'Oh is it slim jim again?' and I say 'It's not Slim Jim, It's GoodGym!